Expedio Industrial Property - Are we producing the right product? 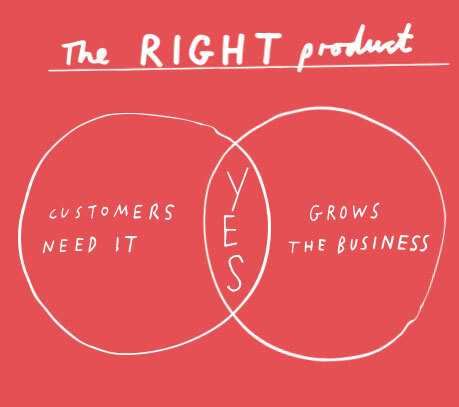 Are we producing the right product? It’s a question every business asks in order to ensure that their offering, whether product or service, is what the markets wants and needs. For an industrial landlord, finding the answers is a little harder than for many businesses. Many of our potential customers are one step removed from our team, and serviced by real estate agents. And we are not fans of focus groups and surveys, as too often the results are very skewed by the way questions are phrased. We can talk to our existing clients, and those potential tenants and buyers we come into contact with. But that is a very small sample of the potential market. For most of the businesses who present a potential market for our product, their first point of contact is a real estate agent. We produce a product – in terms of size, location, finish and amenities – that we think the market wants. But are we correct? Several of the major real estate agencies produce impressive pieces of research on the market. We imagine some boffin chappie nerd in a darkened room in a tower on or near Queen St poring over reams of data and producing the impressive graphs and spreadsheets telling us median rentals and sale prices, and vacancy rates and trends and much more. And that is all very useful. But that boffin chappie (if he indeed exists and he is not really a computer program) with his spreadsheets is also one step (or more) removed from the marketplace. And therefore one step (or more) removed from the face to face discussions on what the tenant or owner/occupier or investor is really wanting or needing. It would therefore be most helpful if those agencies with dozens of agents running around qualifying clients, advising and negotiating, were able to co-ordinate their feedback on market requirements. Because those people actually talking to the clients must surely have the best understanding of what is really required. If they ask the right questions that is! For our part, we don’t want to keep on putting in top of the range LED lighting, showhome quality bathroom fittings, and motors on roller doors, if the clients doesn’t really want that. But how do we know? Now there is a challenge.